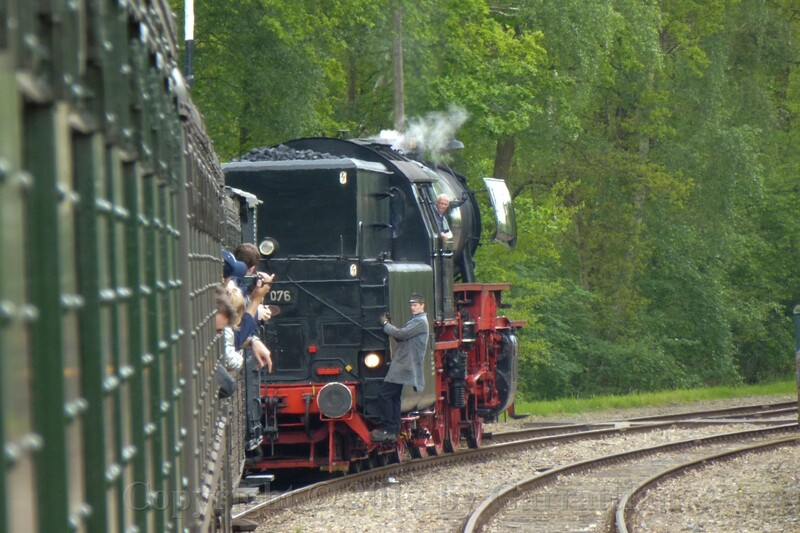 I spent 2012's Ascension Day at the Veluwsche Stoomtrein Maatschappij (Steam Train Co of the Veluwe). 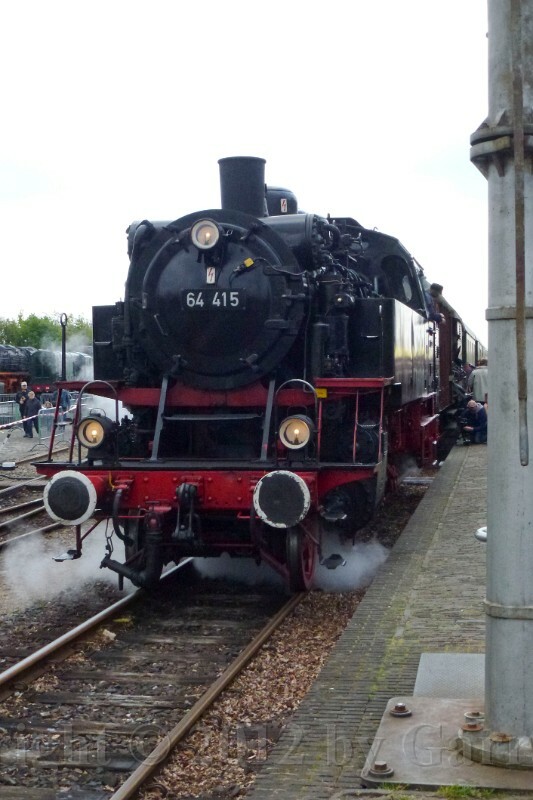 The VSM has the largest collection of German steam locomotives in the Netherlands. 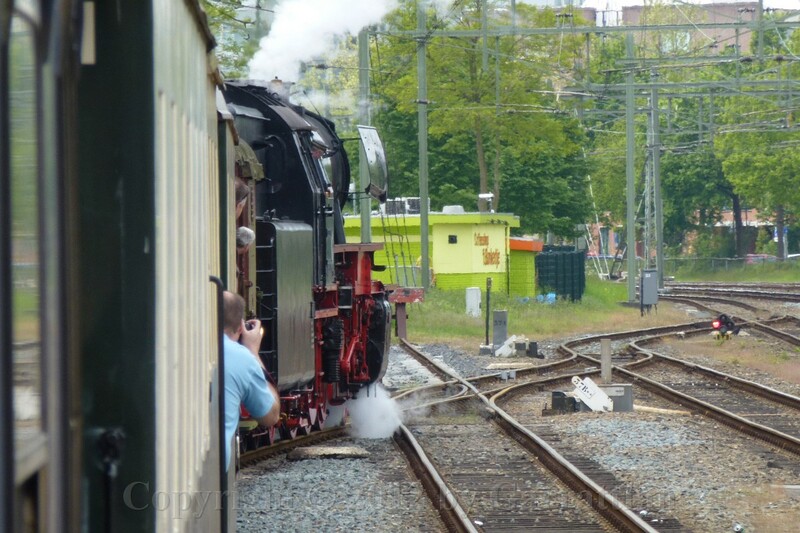 Why German locos? 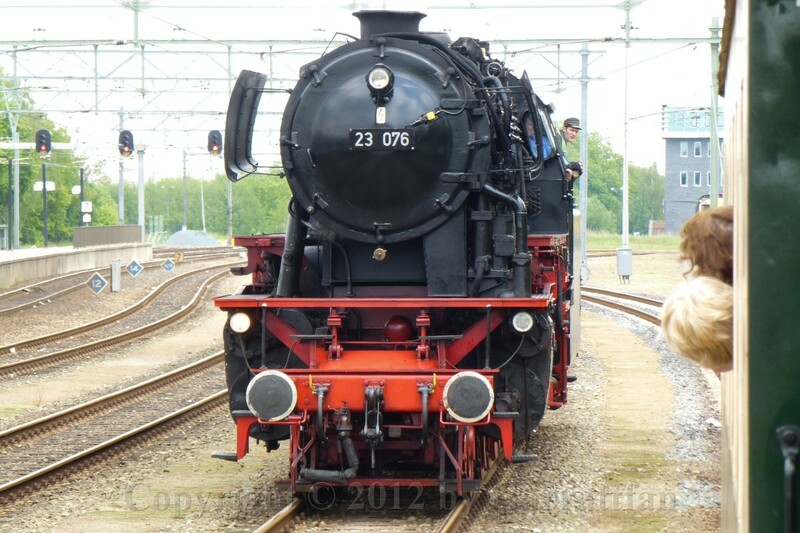 Well that's simple: at the time the preservation movement in the Netherlands got hold in the early seventies Dutch steam locomotives were extinct whereas the West German and East German locos were still in active service. 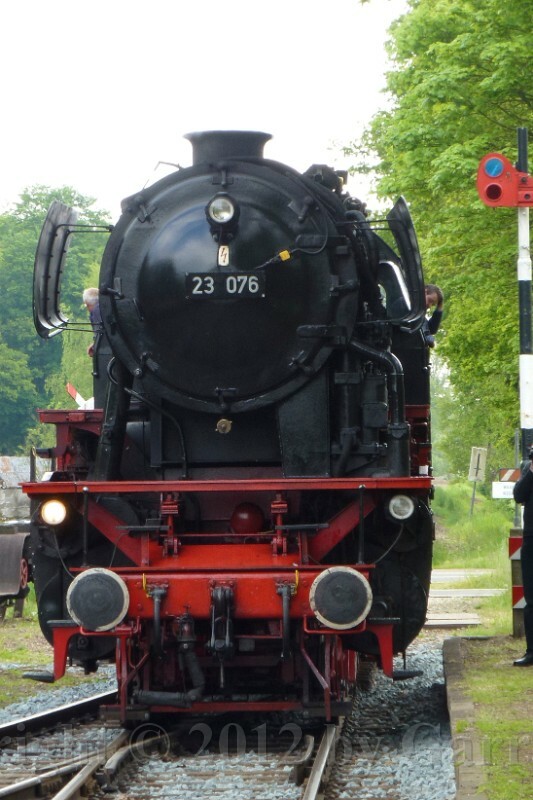 With the demise of steam especially after the end of the DDR a large quantity of steam locomotives came available. 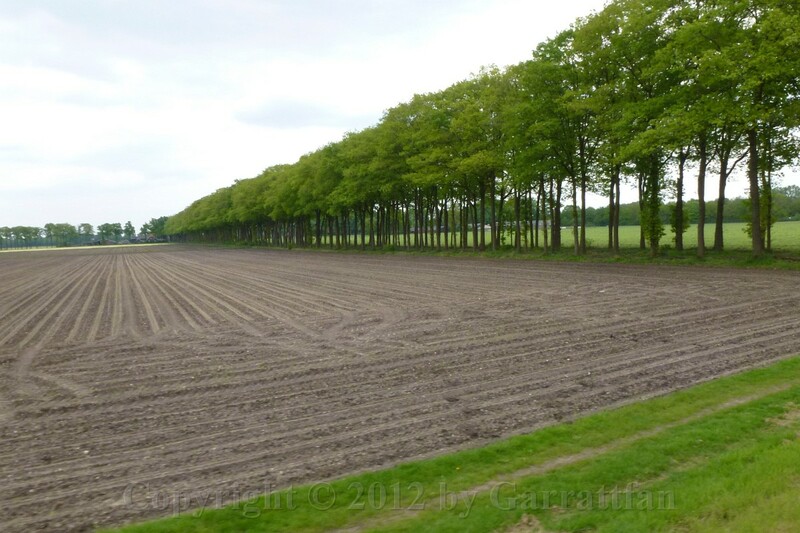 1 The Veluwe is an area of "Outstanding Natural Beauty" and as such protected and preserved. 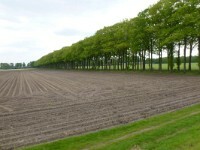 More on the Veluwe on Wiki. 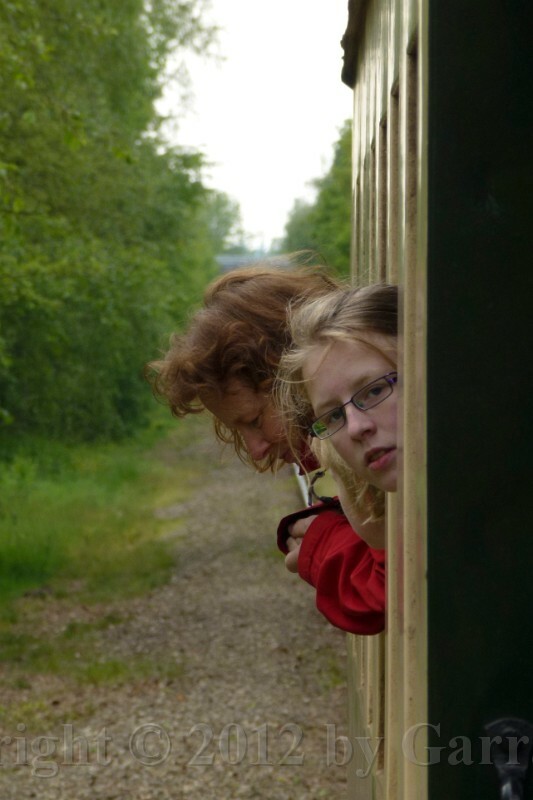 The VSM, a volunteer organisation founded in 1975, exploits a former local line between Apeldoorn and Dieren. 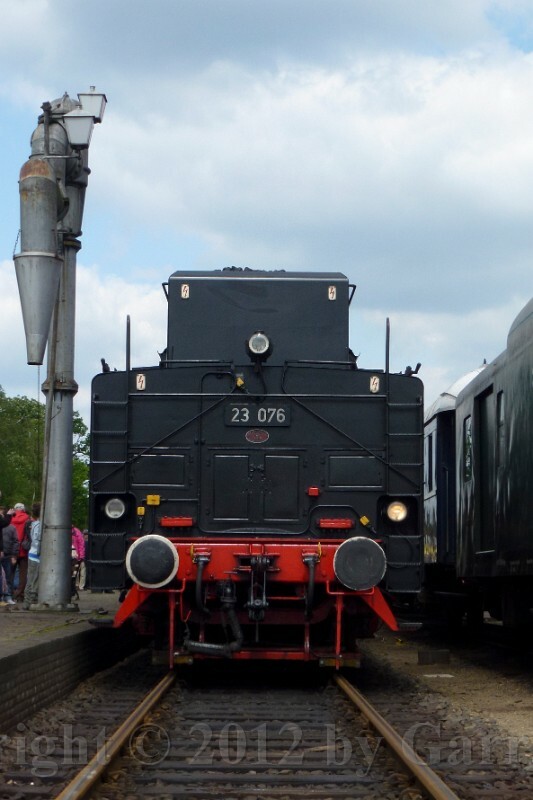 It currently owns some 20 or so steam locomotives, most of German origin, and more than 20 Dutch diesel locomotive in majority dating form the transition era between 1952 and 1958. 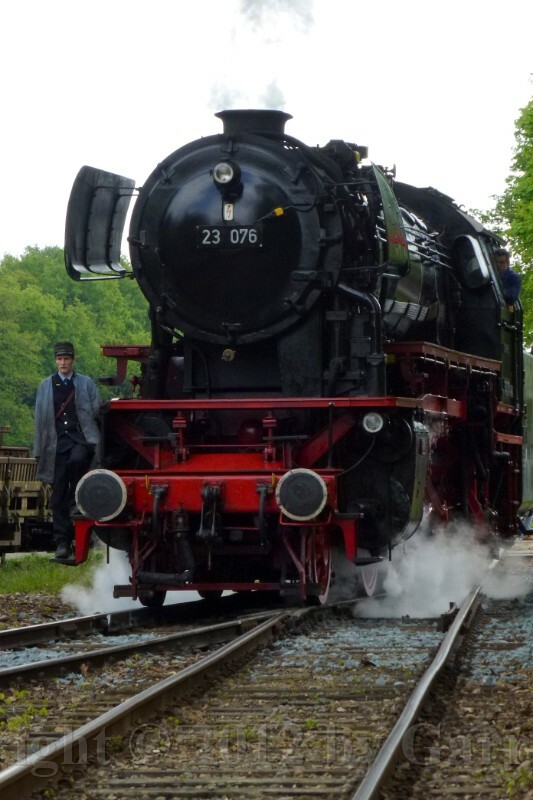 2 The first view I got was from the classes 23 and 64 moving around their respective trains. 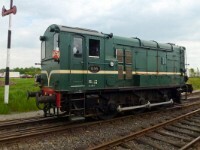 3 The German State railway had envisioned a simple tanklcomotive for short range local services in their "Einheitsprogram" uniformity program, a much disputed effort to create a uniform locomotive fleet with common design standards and as much common parts a possible. 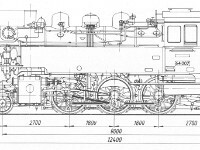 The program started in the 20's and by 1926 the Class 64 came from the design tables. Between 1928 and 1940 no less than 520 examples were built. About twenty have been preserved. 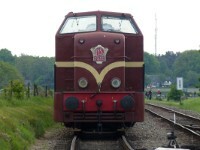 10 A view on the front of the loco clearly demonstrating the German design filosophy. Where the english strove for elegance and simplicity, hiding the technical details of the design, the Germans chose the opposite course: "Form drückt Funktion aus", form expresses function. So no second cylinder cover to hide the nuts 'n bolts, air pump clearly in the open, the feedwater heater right through the smokebox. Easy for maintenance, hard on cleaners. 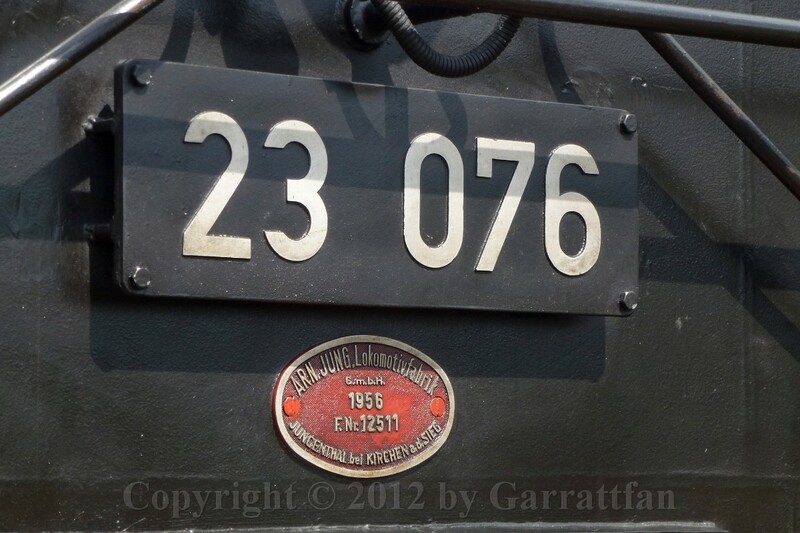 Another hallmark of Geman locomotive practise is the red painting of the area below the footplate. It has a simple and clever reason: if oil or grease leaks somewhere it easily shows up on a red surface!! 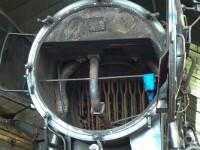 11 Brake air pump and atop the feedwater heater through the smokebox. 12 A view on the valve piston, from which the threaded adjuster makes easy work of precise valve timings. 14 The motion bracket (rigth) on which the expansion link is hung. 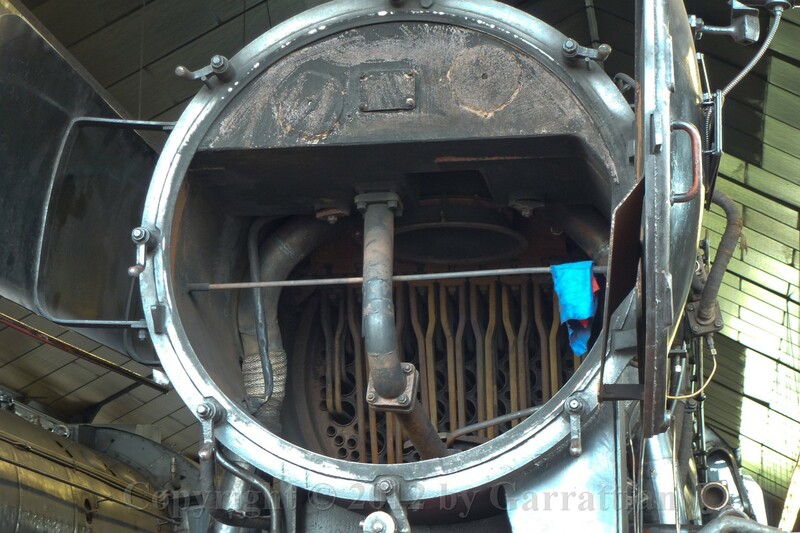 The expansion link (left) is the banana in the motion and it controls how long steam is admitted to the cylinder and also determines whether the locomotive runs forward or backward. 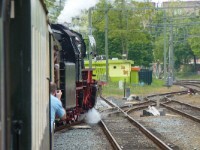 On the photo it is in mid-postion, the loco is going nowhere. 18 The firemen clearly having fun. 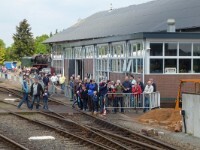 20 Meanwhile the class 23 is preparing to pull its train to Loenen. 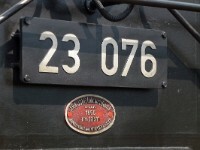 21 The Class 23 is of a later date. Though its concept existed before the war it took until 1950 before production started. By then the original pre-war design had been completely overhauled. 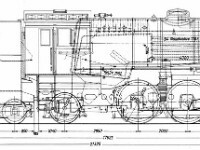 The loco shows all characteristics of the latest in steam technology: roller bearing all round, all welded construction and a frameles self-bearing tenderbody. 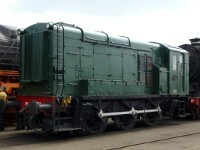 Intended as a successor for the ubiquitous Class 38, which was built by the thousands, its production was halted when it became clear that the demise of steam was irrevocable. Only 105 where built until 1959. 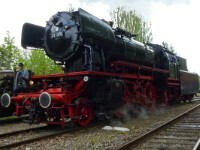 No 105 was to be the last built W.German steam locomotive. 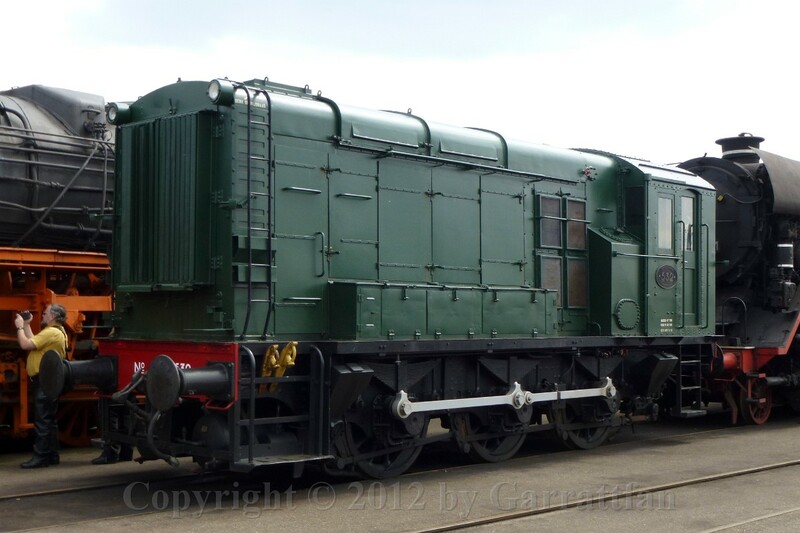 Though the Class 23 performed extremely well it barely outlived the class it had to replace by just one year! 23 The roller bearings are visible. 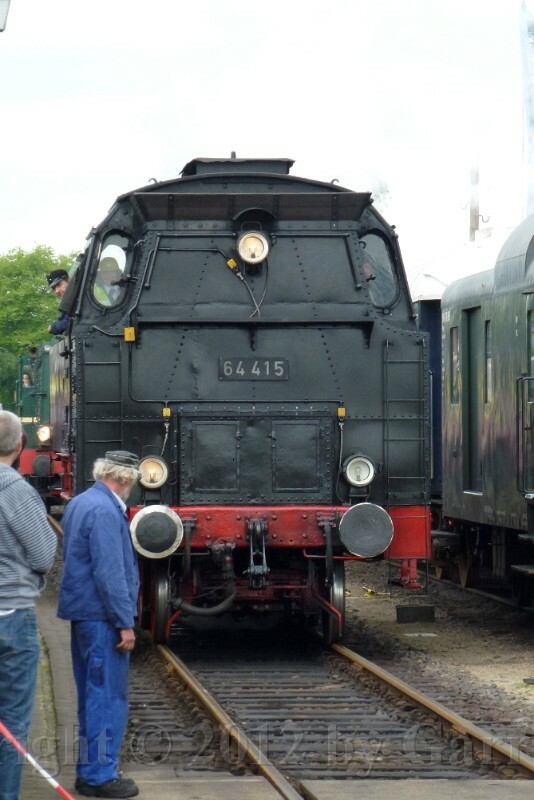 Not only do they make the locomotive roll easier, they were also largely maintenance free, eliminating the need to oil and grease the lcomotive all around after every so much kilometers. 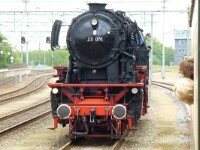 32 The coupling between tender and loco. 33 The all welded self-bearing tender. 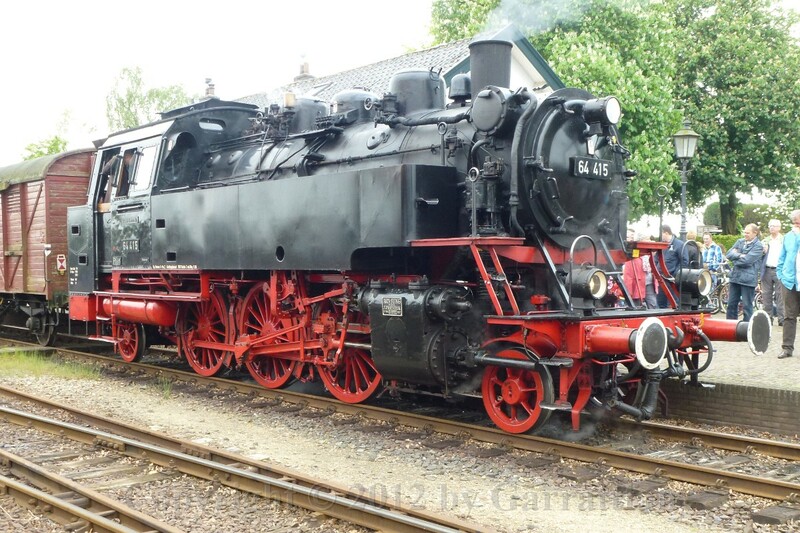 Though most Dutch people consider steam as something of the distant past, operational steam in the Netherlands ceased in December 1957, they rarely realise that this steam locomotive is younger than most Dutch diesels in the VSM collection. 37 Some superheater tubes. When steam is taken from the boiler it is lead through these tubes to raise the temperature even further. This gains two things: the steam is less prone to condensation and the steam carries more energy into the cylinders. 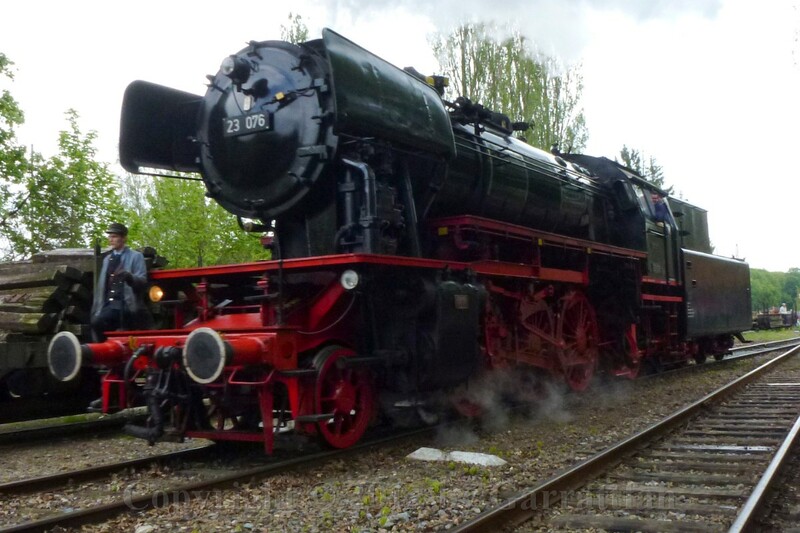 As a result superheated steam locomotives tend to use less fuel for more output. 39 Production of the 50ÜK took place all over Europe, although somehow production in the occupied countries was not very successful. Guess why. 40 A tell tale of the austerity measures: a welded sand dome instead of a cast one. 41 Another tell tale: the driving rods have not been milled after forging. 43 The enormous class 44 built between 1926 and 1949, numbering 1989 in total. 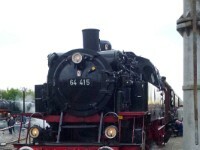 It is the heavier and stronger and three cylinder variant of the 50 class. 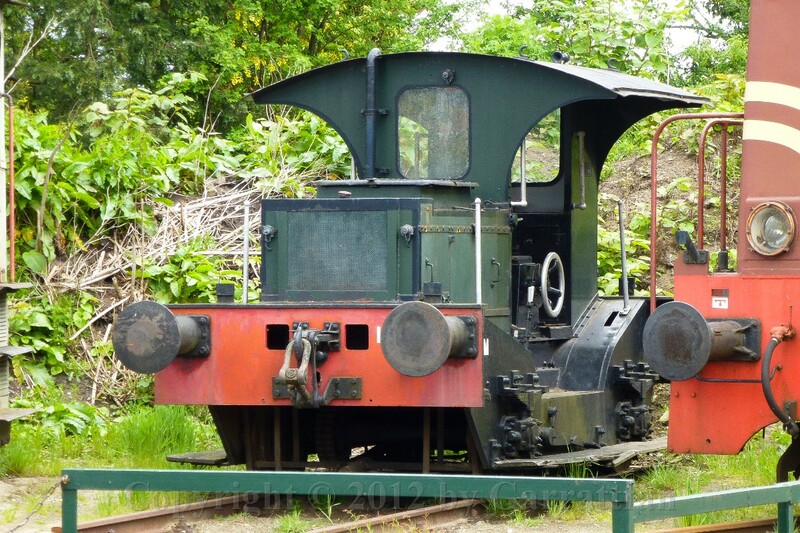 This loco is in operational condition but runs only a few time a years as it is very uneconomical on coal, being largely overpowered for the bread and crums work on the VSM. 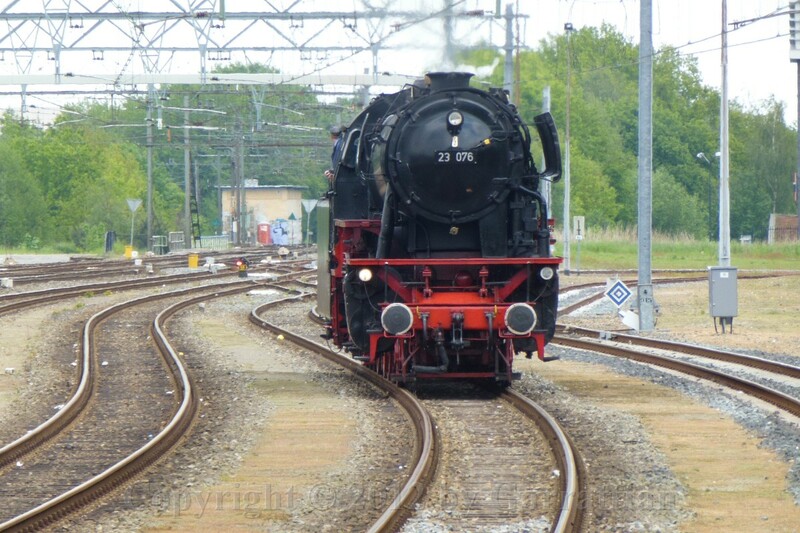 I have seen them at work near Rheine, a year before the end of steam in W.Germany, double headers pulling hard on a 3000 tons ore train. Very impressive! 51 The rear of the middle cylinder, again no piston valve. 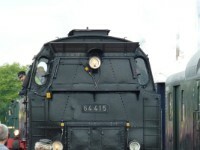 57 A 500 Class, very similar to UK's Class 8. 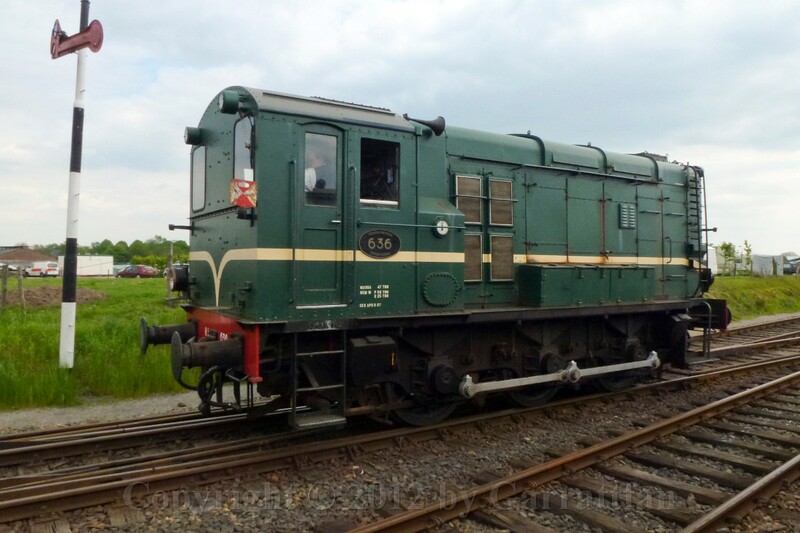 60 And this is the class 52 I already mentioned, a true austerity locomotive. What the Liberty ship was for the Americans was the 52 locomotive for the German war effort. Objective of the design: building faster than the enemy can destroy, able to run anywhere but the lightest of track, low on maintenance, only strong enough to outlast the war. Appr. 7000 were built, most in just three years. 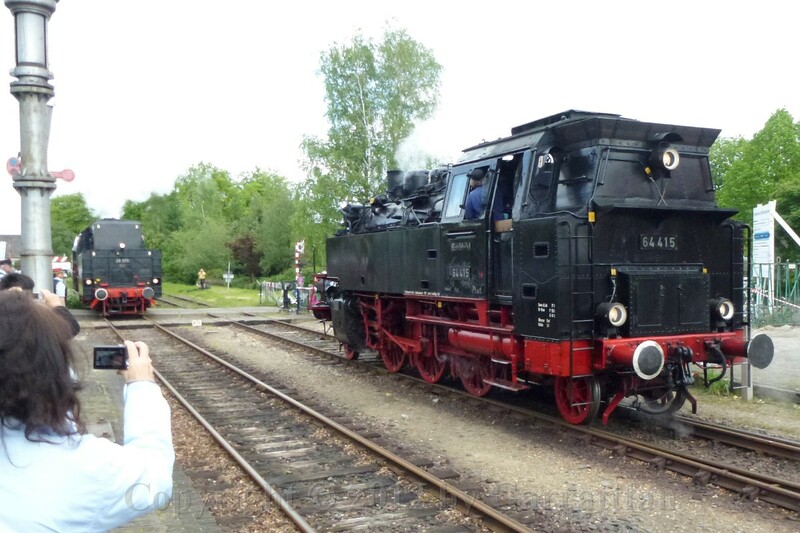 At the height of the production over 50 locomotives per day where built!! 72 Another 50 class in for some serious maintenance. 75 Meanwhile outside the 23 class was preparing for a turn to Loenen. 76 I hopped on and took a seat in a unmotorized Class '24 coach. 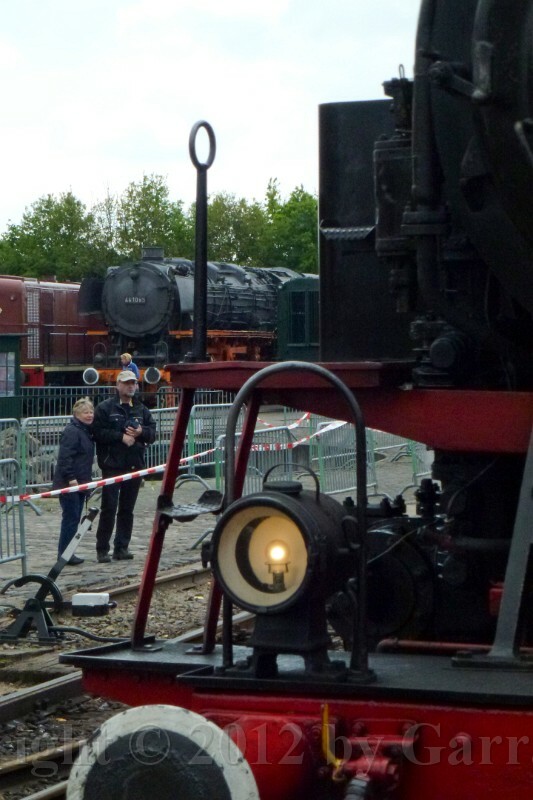 The Class '24 stock of the Dutch Railways was though not the first electric stock in the Netherlands, the first to be built in large numbers from 1924 onwards (hence...). 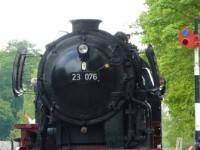 It was part of a large scheme to eliminate steam beteen 1940 and 1945. If not for WWII this attempt would probably have succeeded. 77 Much interest, but the event was certainly not overcrowded. 79 The VSM line runs through a very scenic area. 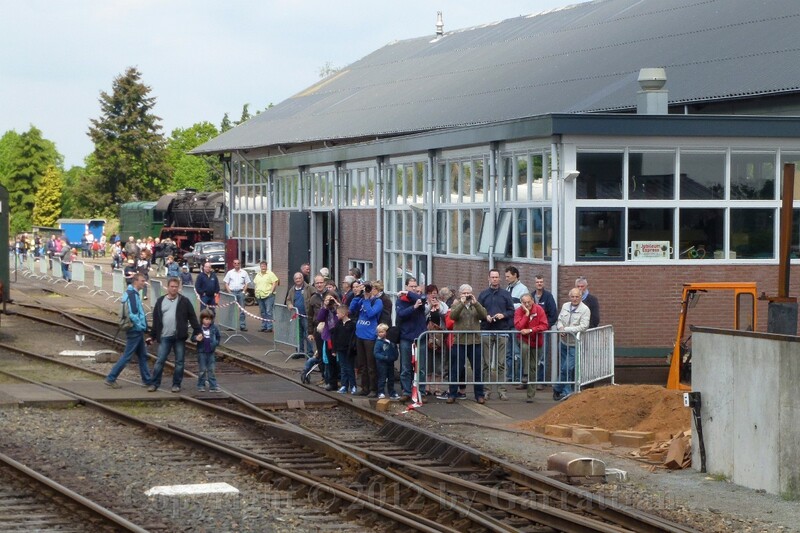 Visit it, if not for the steam line, than for the beautiful countryside. 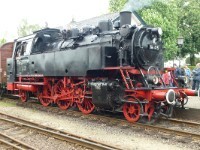 95 This peculiar loco is the last built example of the 2400 class (numbering from 2400-2530). 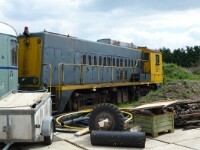 It was built as a testbed for various constructional ideas and improvements and later put to work on herbicide spray trains, its cab on top giving the driver a good view on the progress of the work. 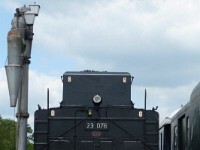 110 The Class 52, of which the grey one I portrayed in the shop was an original example, was intended to last only for the war. The Germans expected the war to last no longer than five more year. They were right but the end result was a little different from their plans. After the cessation of hostilities some some 6.000 were spread all over Europe and hundreds more in various stages of production. 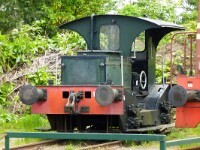 Motive power was badly needed and despite the spartan construction and prognosed short life span they were put to work. 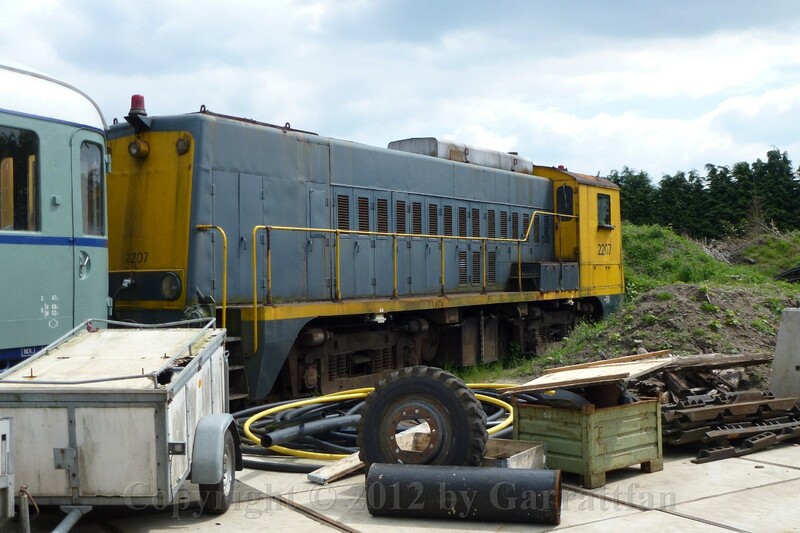 The 800 engines remaining in W.Germany lasted not much longer than the prognosed lifespan, halfway the fifties the DB began sending them to the scrapyards and by 1962 the last one was gone. 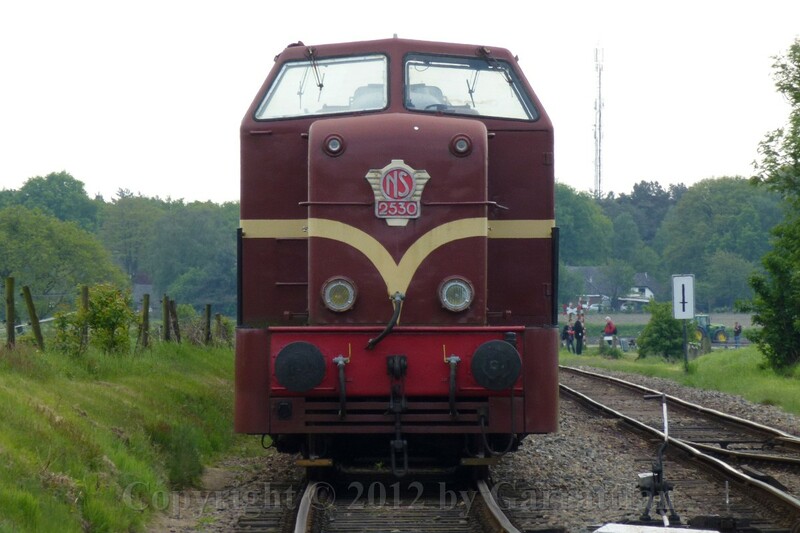 In the DDR however had 1100 engines and could not dispense them. During the sixties they were reconstructed to a more lasting and normal design, the 52.80 and 52.90 subclasses. 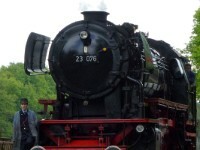 The REKO (reconstruction) locos are easily recognised by the trapezium shaped mixing preheater on top of the smokebox. 112 Again I hopped on this time for a return trip to Apeldoorn. 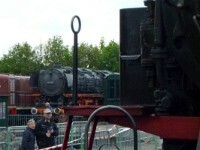 115 This toddler was highly excited, completely wild about the steam locomotive. Who says it is all education?? 117 Ow, there it is!!! 121 Some road crossings must be guarded by a red flag. 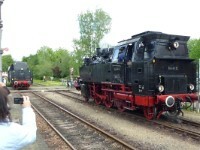 131 The 23 Class came into the yard giving a good opportunity to make a three quarter view without any visitors on it. 143 The draw and buffing gear of a tender. 148 Well Mr Hitler, or Speer (minister for armament and equipment in the Third Reich) for that matter: did you expect your war machines to be here in absolute pristine condition, seventy years on? 149 After a lovely day and one last view of a leaving train I returned to my car and went home.